Weiner, who was forced to resign as a congressman after sending explicit pictures of himself to women, is now implicated in another scandal as he plots a mayoral bid. NEW YORK MAYORAL candidate Anthony Weiner has admitted sending explicit texts and photographs to a 22-year-old woman a year after he resigned from Congress over a similar scandal. 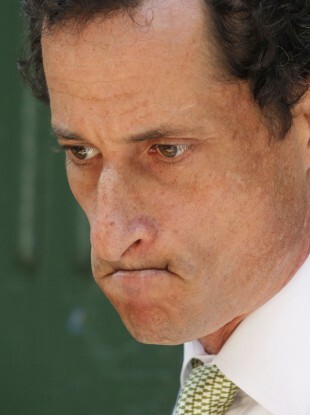 According to news site “The Dirty”, Weiner, 48, used the monicker “Carlos Danger” to contact the woman on Facebook, and established an online relationship with her. In a statement from his campaign team, Weiner confirmed that the latest allegations were substantially true but tried to present them as having being covered by his previous confession. “I said that other texts and photos were likely to come out, and today they have,” it read. “As I have said in the past, these things that I did were wrong and hurtful to my wife and caused us to go through challenges in our marriage that extended past my resignation from Congress. A poll last week suggested Weiner is well-placed to become the Democratic candidate to succeed Michael Bloomberg as the mayor of New York with voters apparently largely indifferent to his scandal-tainted past. Email “NY mayoral candidate Anthony Weiner admits to another sexting scandal ”. Feedback on “NY mayoral candidate Anthony Weiner admits to another sexting scandal ”.